Basquiat’s Lost Portrait of Warhol Poised to Fetch $150,000,000. 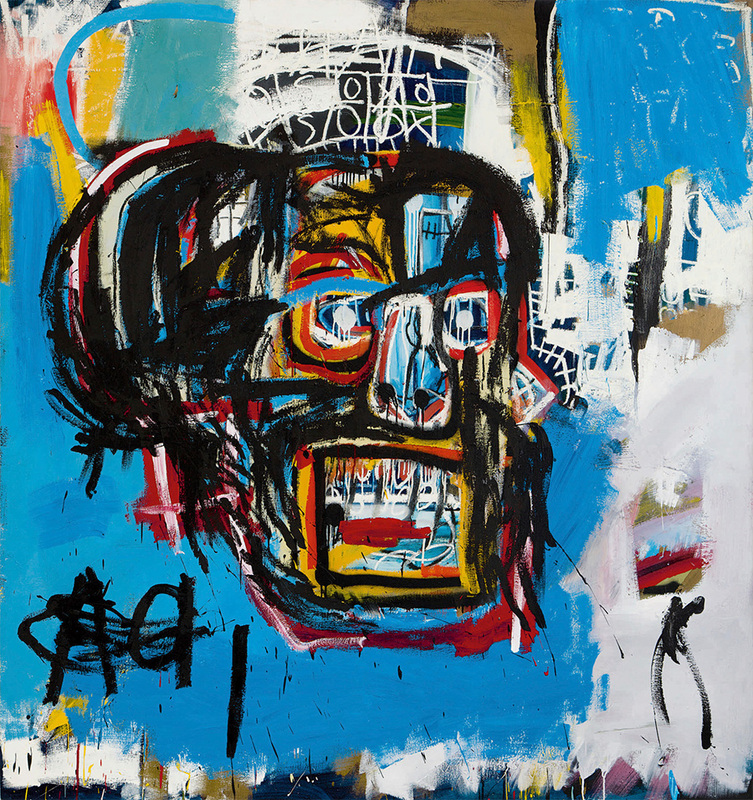 Just days after Jean-Michel Basquiat’s skull painting of 1982 broke auction records for an American painter by selling for $110,000,000 at Sotheby’s, a new Basquiat treasure has surfaced and underground online bidding on the dark web has already eclipsed the sixty million threshold. The painting in question has been heralded as the discovery of a lifetime for several good reasons, the most obvious being that is is a portrait of his friend, and mentor, Andy Warhol, giving it a lethal dose of sentimental value. Unlike Warhol, Basquiat did not as a rule attempt likenesses of people, which makes this painting a rare undertaking for the artist, if not the only such one. That it is instantly recognizable as Warhol makes it even more irresistible to collectors. It has been reported that the Japanese billionaire Yusaku Maezawa, who bought the skull painting (below) for over a hundred million became furious upon discovering that he’d made his purchase barely an instant before the new painting was revealed. The story behind the painting, and why it had been sealed away from public view for decades, is the icing on the cake. I’ll get straight to the point. Warhol hated it. Andy was notoriously self-conscious and insecure about his physical image, and felt this portrait immortalized his worst features, making him look like “a pockmarked Phantom of the Opera”. This was because of the upturned, angular, oversized nose, which was too ghastly and too close for comfort. Andy was most embarrassed of his nose, which could flare red and a little bulbous, too bulbous to be handsome. If you look at the painting you can see it depicts the vulnerable nose, and captures Andy’s self-consciousness about it. Andy pleaded with Jean-Michel to destroy the painting, even though Jean-Michel painted it specifically as a gift to him. Even richer, Jean-Michel only painted it because Warhol asked him repeatedly, “will you paint me?”. He loved the idea, but in the end got what he wished for, so to speak. Basquiat painted Warhol behind the mask, and not just the mask. Warhol had famously said, “I want to be a machine”. By that he meant he wanted to be invulnerable, “a rock feels no pain, and an island never cries” (Simon & Garfunkel). He presented himself to the world as a vacuous shell, and even convinced art critic Robert Hughes that he was stupid. No, he was painfully shy despite his celebrity. He tried to overcome his innate shyness, but never succeeded. The last thing he wanted was a portrait that unveiled his inner self, showed him to not be a machine, but a mortal human being, and one who suffers. Jean-Michel promised to cut up the painting and burn the pieces, but couldn’t bring himself to do so. He thought the piece veered in a new direction for him to pursue, and he liked it for all the reasons Andy didn’t. It reminded him of Andy. Jean-Michel had the painting buried in storage because he couldn’t bear to destroy it. 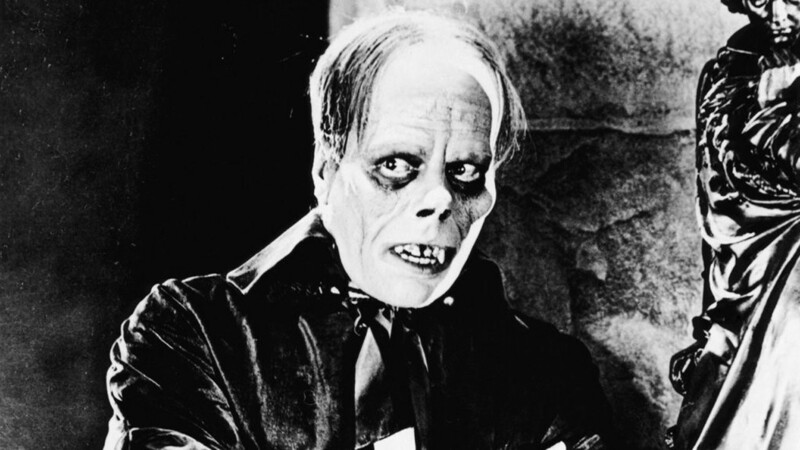 Lon Cheney as The Phantom of the Opera in the 1925 film Warhol was referring to. Those with whom Basquiat left the painting honored his request for far longer than he could have hoped – after all, both artists are dead – but became convinced that they wouldn’t be dishonoring Warhol, after consulting a psychologist, who insisted Warhol was only pretending to hate the painting out of false modesty. 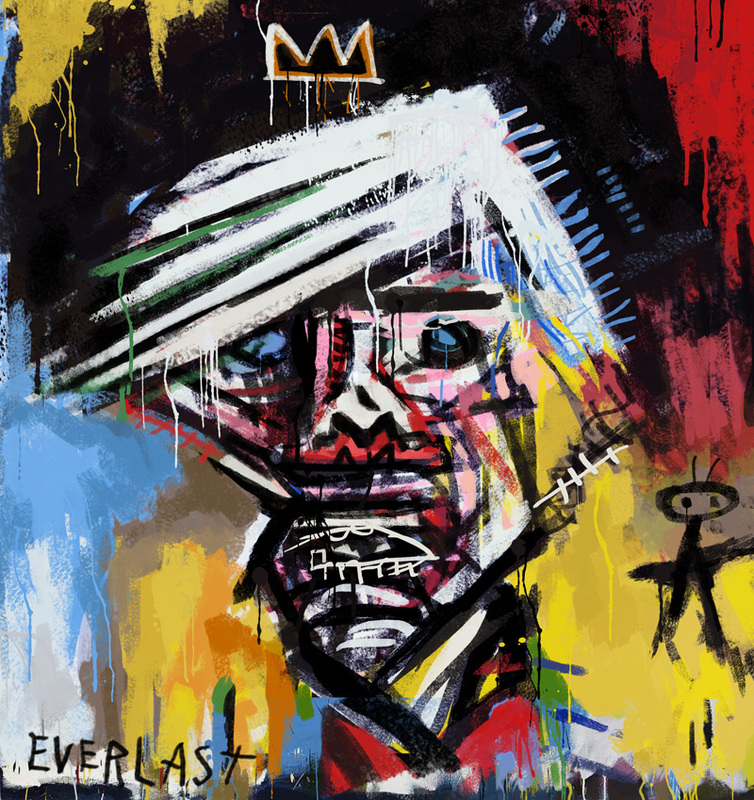 The painting, argued the psychologist, is an obvious tribute to Warhol, as it includes not only a crown, but the word “everlast”, which taken together honors the older painter as an everlasting king of art. 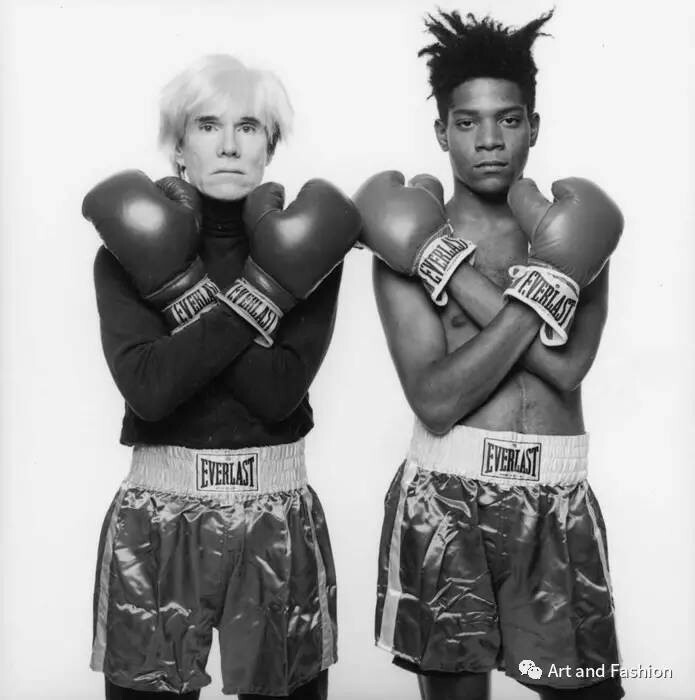 “Everlast” is also a brand of boxing apparel, and the two artists had once posed together wearing “Everlast” boxing shorts when they were collaborating on a show. Sounds like they were trying to find any excuse to cash in on the art-market lottery, but, who could blame them. Besides, Andy was being overly sensitive, though, to be fair, his portraits of others were deliberately glamorizing, in which case something that has an ugliness about it, even a beautiful ugliness, would not be at all palatable. Does the Japanese billionaire have enough disposable income to make another purchase? Will this one go to the Saudis or a Russian oligarch? We’ll have to wait and see. I only hope they don’t seal it up in a drawing room somewhere where only they can enjoy it. For now, you need to know how to navigate into the art darknet if you want to see it, unless, of course, you happened upon this post, in which case you probably saw it here first (at least until it hits the public). Posted in art criticismTagged art, Auction, Basquiat, contempoary art, painting, Skull, Sotheby's, WarholBookmark the permalink. You do realize I am a tool, don’t you. I’ll trust your own assessment on the matter.